1792 … John Dawson and Ann Watson were married at Kildwick Parish Church, West Yorkshire. They are my 4x great grandparents. 1824 … Priscilla Dawson was born at Cowling, West Yorkshire. 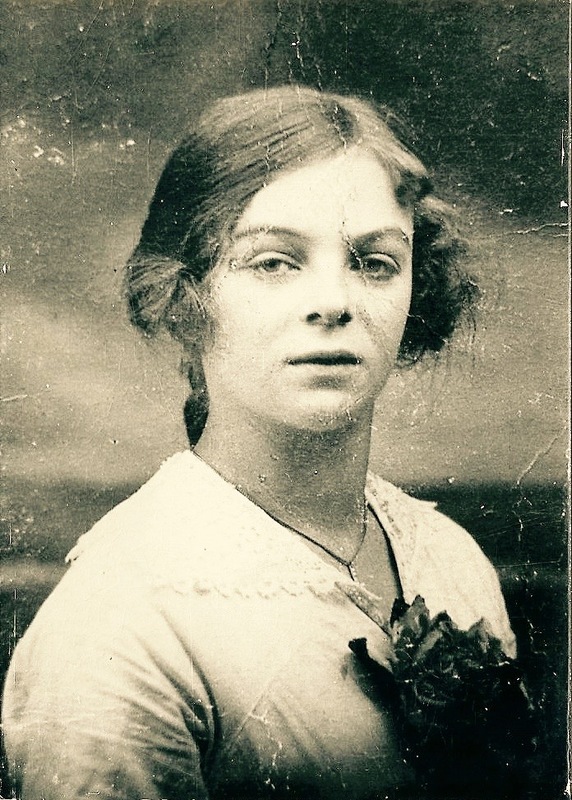 She is my 2nd great grand aunt. This gravestone is at Holy Trinity Church, Cowling, West Yorkshire. It is the resting place of Priscilla Dawson, my 2x great grand aunt and her husband John Smith. Priscilla was born in Cowling on 3 May 1824 to parents Thomas Dawson and Margaret Snowden. She was the third of nine children – 4 boys and 5 girls. 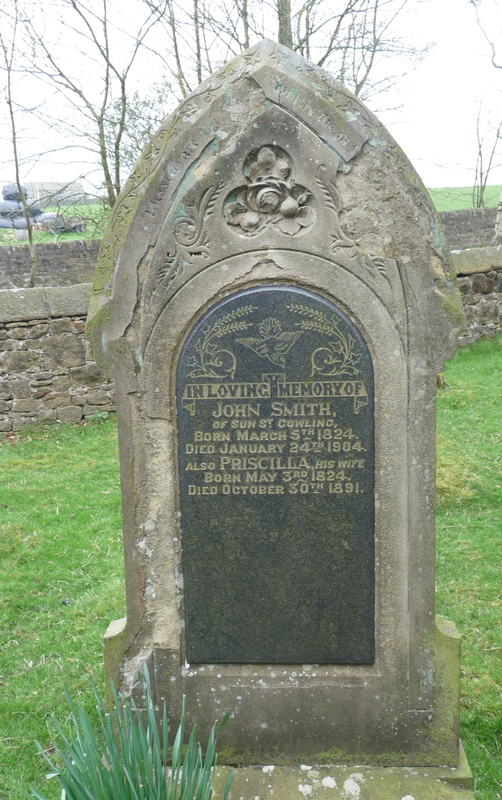 From the census returns it looks as though John Smith was also born around 1824 in Cowling. I haven’t done any research at all about John or his parents. Priscilla and John married sometime in Q2 1848 and the marriage was registered in the Skipton district. They had at least seven children between 1849 and 1867. I say at least because some of the gaps between the years suggest that there may have been other children born in between census returns that I have not yet found and who died as infants. John appears to have worked either at home or in the local mill throughout his working life. His occupations included twister, overlooker in worsted factory, and warp dresser. Priscilla died on 30 October 1891. John survived for just over twelve more years and died on 24 January 1904. 1749 John Skelding and Mary Sadler were married in Old Swinford, Worcestershire. They are my wife’s 5x great grandparents. 1793 Priscilla Dawson was born in Cowling, West Yorkshire. She was the daughter of John Dawson and Ann Watson and is my 3rd great grand aunt.